Sangiovese Archives - Write for Wine: It's Wine O'Clock Somewhere!Write for Wine: It's Wine O'Clock Somewhere! 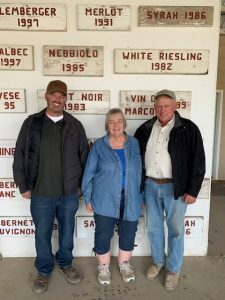 Stottle Winery, based in Lacey, just north of Olympia, has spring releases of some of its unique red wines, four of which we recently had the opportunity to taste. Owner and winemaker Josh Stottlemyer is skilled at blending reds, as we experienced with the 2014 Stottle Big Eddie and Hombre. 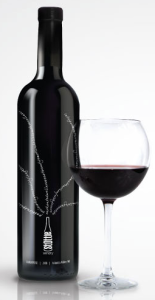 He also does well with the 2014 Tempranillo (100%) and Sangiovese (99%, topped with 1% Cabernet Sauvignon). As in the past, our palates prefer Big Eddie, but all four wines will pair well with a late spring or summer dinner or barbecue on the deck or patio. Or sip them lakeside or poolside, with some tasty cheeses and charcuterie. 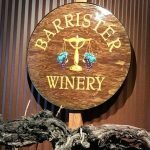 This is the second post in a two-part series about our recent trip to Barrister Winery in Spokane. 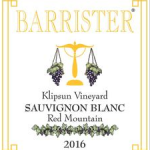 The first post tells the story of Barrister’s unique “train-settling style” of winemaking, the signature style of soft mouthfeel and gentle tannins, and other information. Now here are some details about the beautiful wines that we tasted at Barrister. This single-vineyard Sauvignon Blanc is crisp and refreshing, with notes of citrus and the minerality that you might expect from wine fermented for two months in 100% stainless steel. We’ve always said that we never met a grape from Red Mountain that we didn’t like, and this is no exception. This Sauv Blanc captures the power of Red Mountain fruit, which comes from old vines planted in 1982. A true summer sipper!